If you’re headed to a Super Bowl party and you’re worried about staying keto, have no fear — it’s easy to enjoy all the football festivities and keep it low carb. 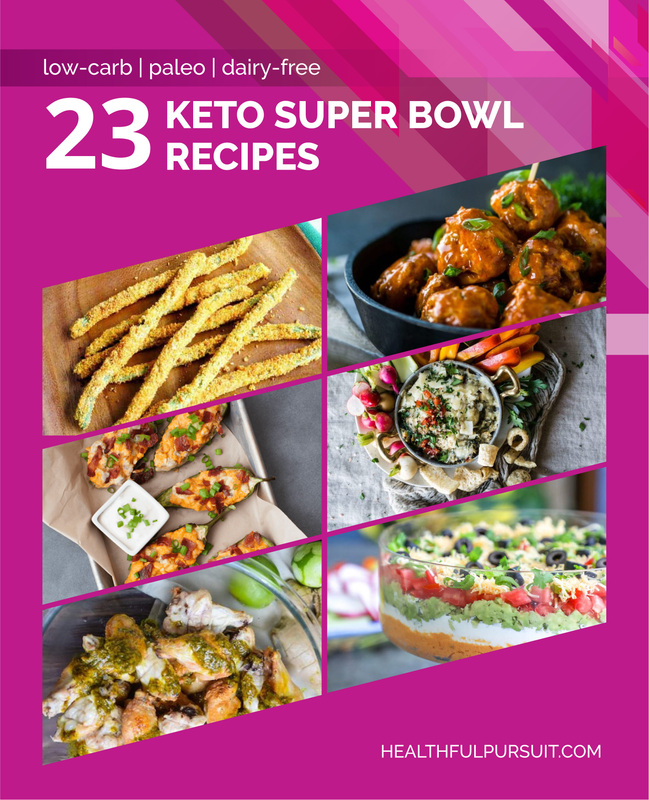 Whether you’re a guest or hosting and planning a full spread, I’ve got keto Super Bowl recipes that everyone will enjoy, even the non-keto peeps! The only thing you have to figure out is which team to root for. 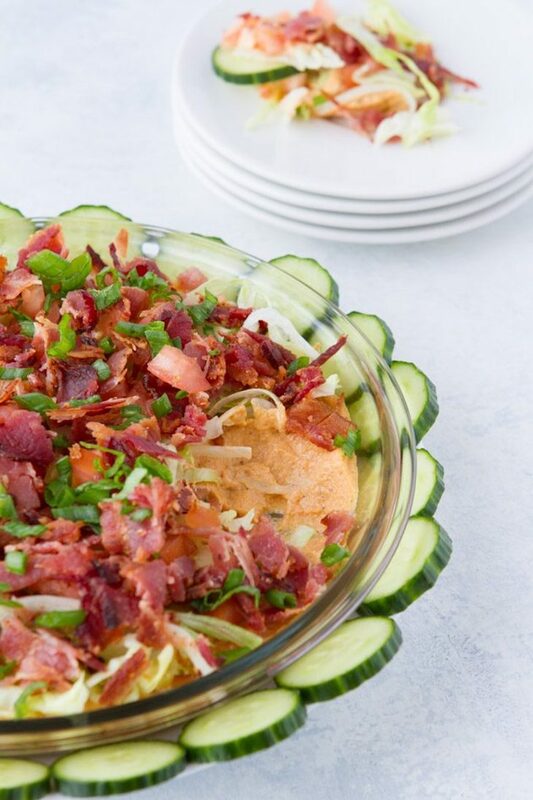 A favorite recipe of mine for years, this no bake dip has all the awesome flavors of a BLT, without the bread! Serve with an assortment of low carb veggies for dipping (my favorite is cucumber!). 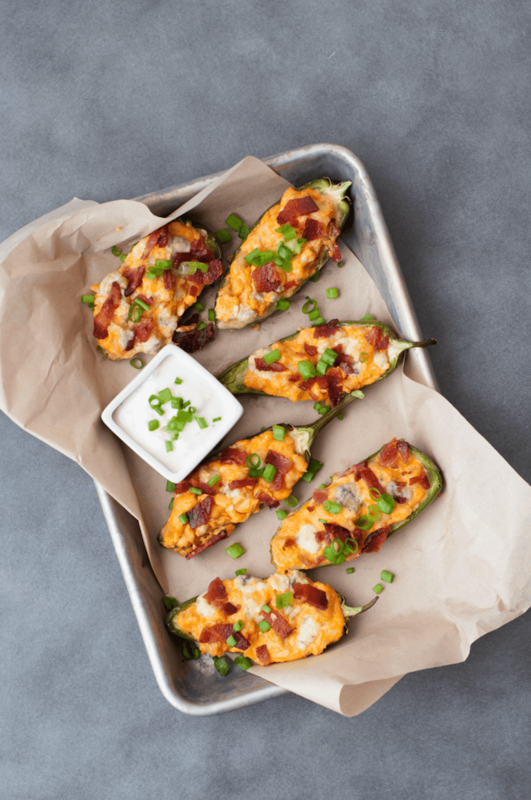 Is it really a party if there aren’t jalapeno poppers involved? I don’t want to know. Make this dairy-free with my soy-free paleo cream cheese, vegan mozzarella shreds, and vegan blue cheese! 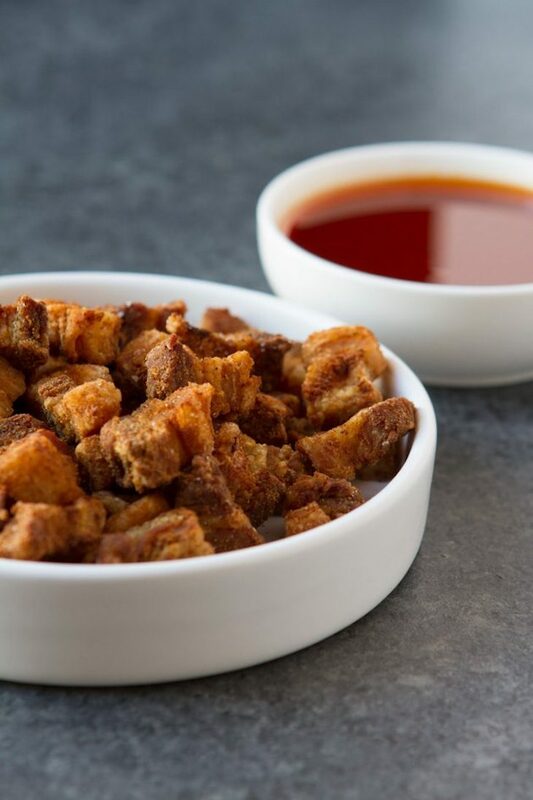 Crunch, spicy, and slightly sweet — you’re going to want to make a double batch of this recipe, because it’ll be gone before kickoff. 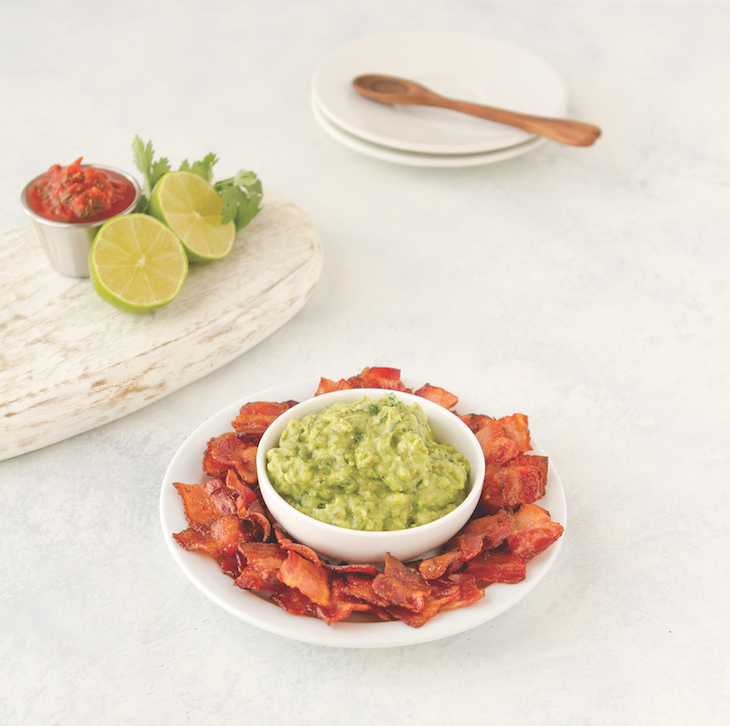 Pro keto tip: supercharge your guacamole by upping the fat with MCT oil. 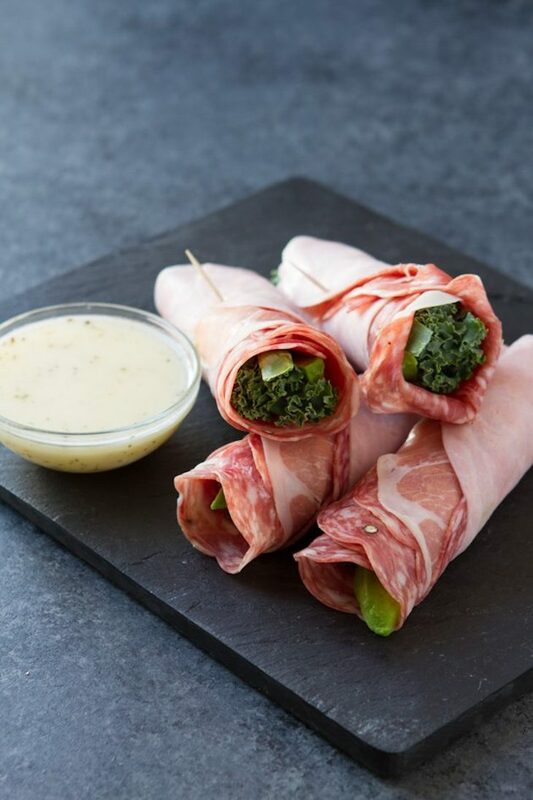 Serve with bacon crackers (bacon cut into squares and baked) and you’ve got a keto power couple as a party-friendly snack! 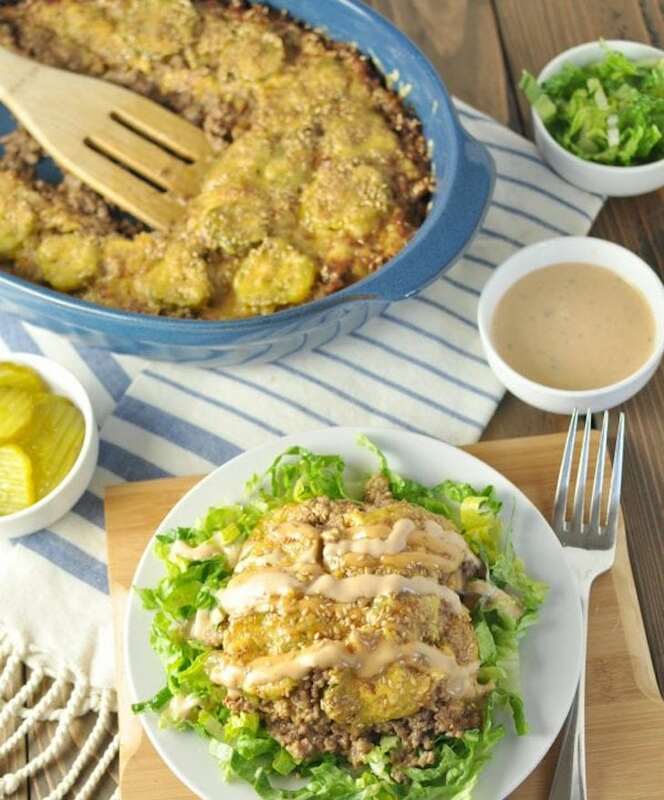 This recipe is from my paperback, The Keto Diet, along with over 125 other amazing keto recipes! Need more bacon-y goodness? Make this bacon spinach dip and serve with pork rinds! 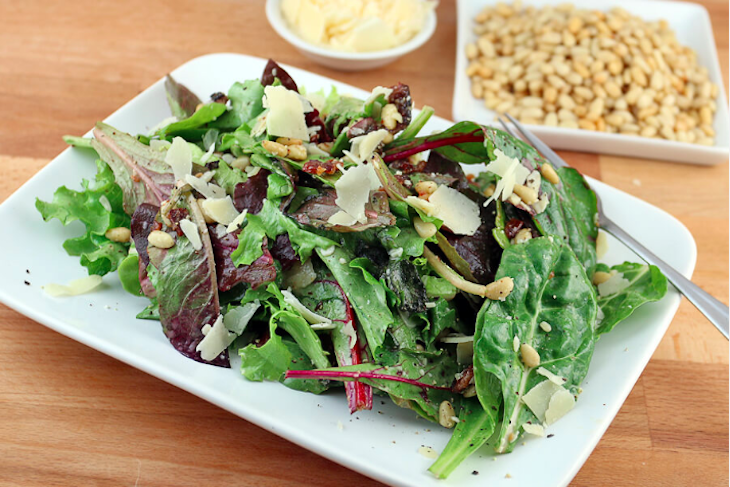 This is another delicious recipe that I’m sharing from The Keto Diet. 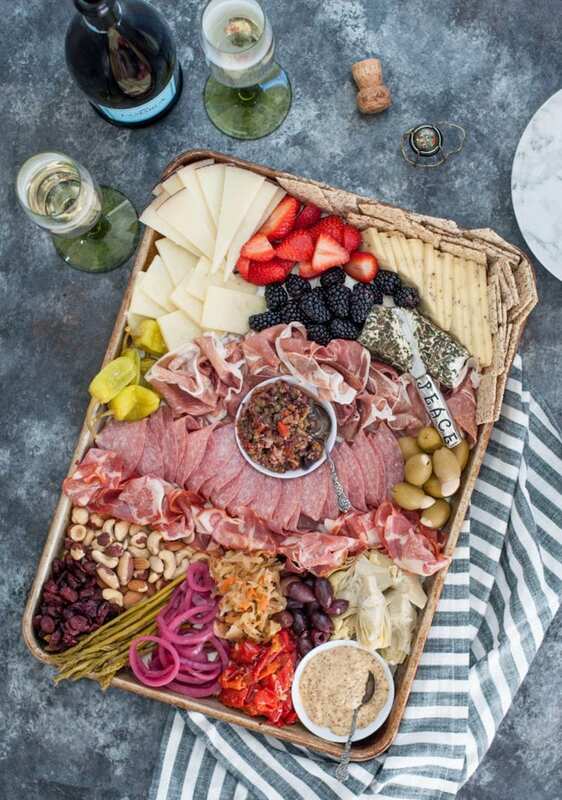 Take the art of charcuterie, but make it keto. A little bit of something for everyone, and suggestions for all the keto things that you can serve! 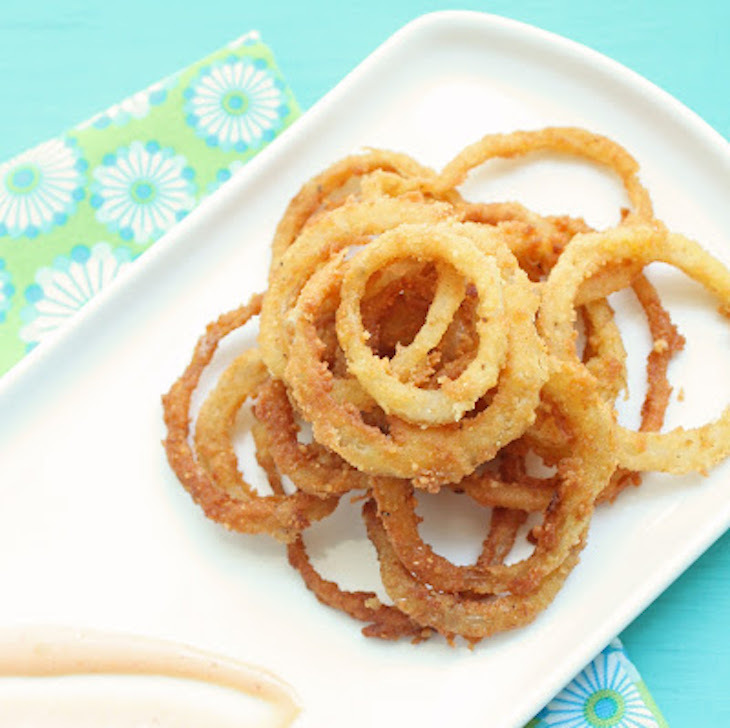 Fried food is a football staple, and these low carb onion rings offer all the crunch and deliciousness, without the carbs! Need to make it dairy free? Use a vegan parmesan cheese. Looking for a replacement for the typical tortilla chip nachos? 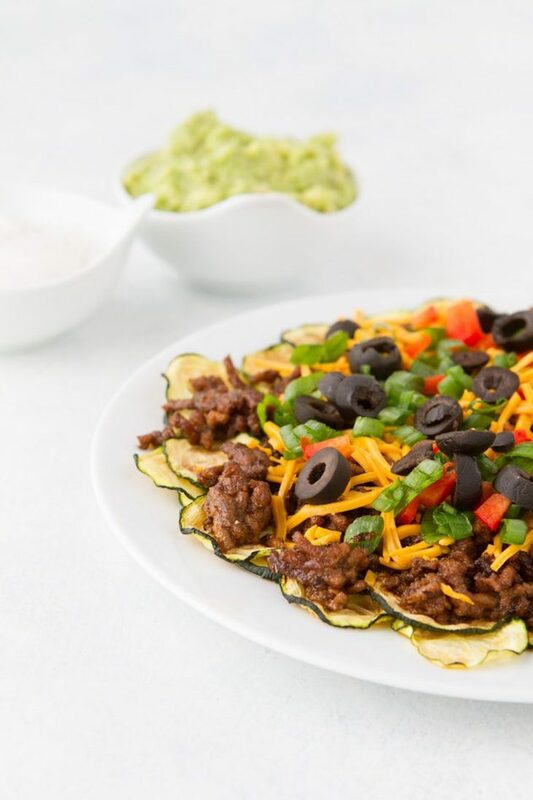 I’ve got you covered — use zucchini chips for a super keto nacho experience. 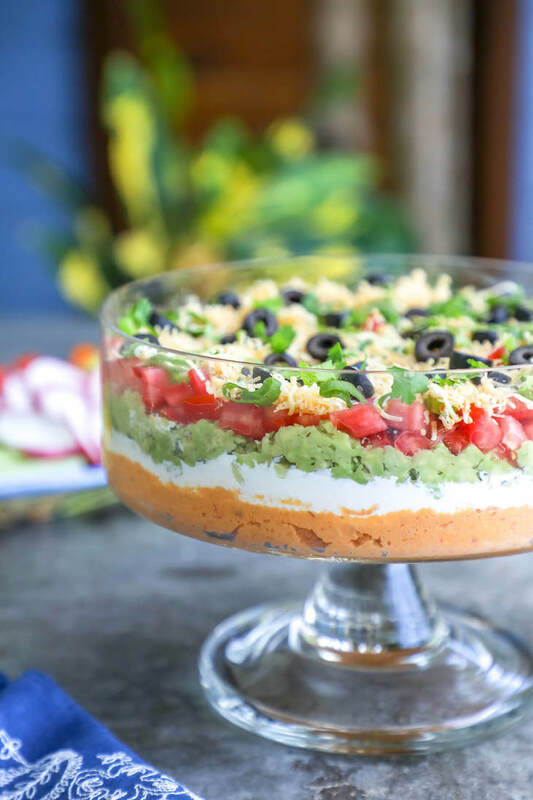 A bean-free layered dip that’s an absolute fiesta of flavor! What’s the secret? Cauliflower. Yep! Make this dairy-free by swapping heavy cream with coconut milk, topping with vegan cheese shreds, and using my vegan sour cream recipe. Creamy cheesy goodness with artichoke hearts, spinach, and roasted red peppers, seasoned perfectly. Serve with pork rinds or fresh veggies, and make it dairy free with soy-free paleo cream cheese, vegan parmesan, and vegan sour cream. 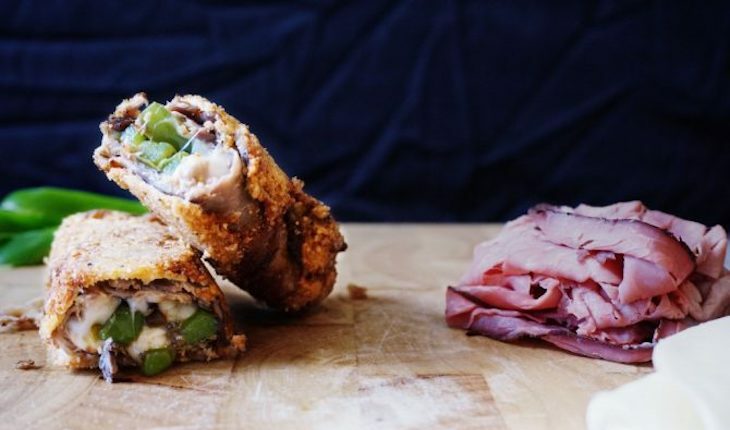 This recipe is excellent for a last minute add-on, and you can include all of your favorite high quality lunch meats to please a variety of guests! Don’t skimp on the sub sauce, it’s delicious. 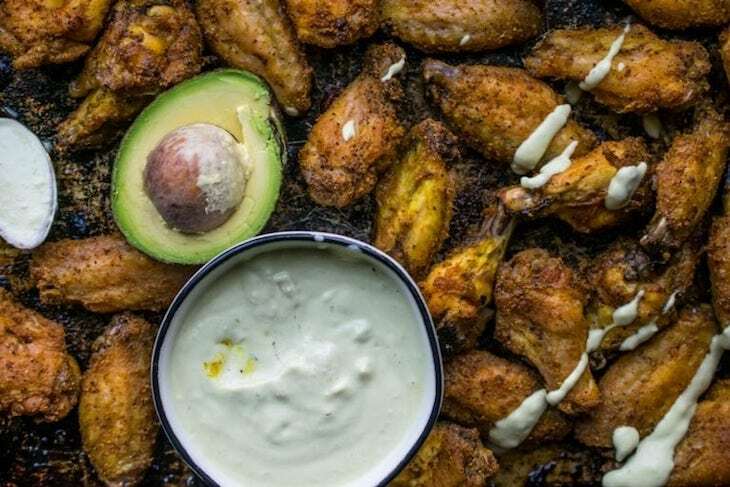 If you’ve been longing for crunch on keto, these crispy keto wings will be your absolute favorite. They’re perfectly seasoned and served with a cool and creamy garlic sauce — touchdown for your tastebuds! 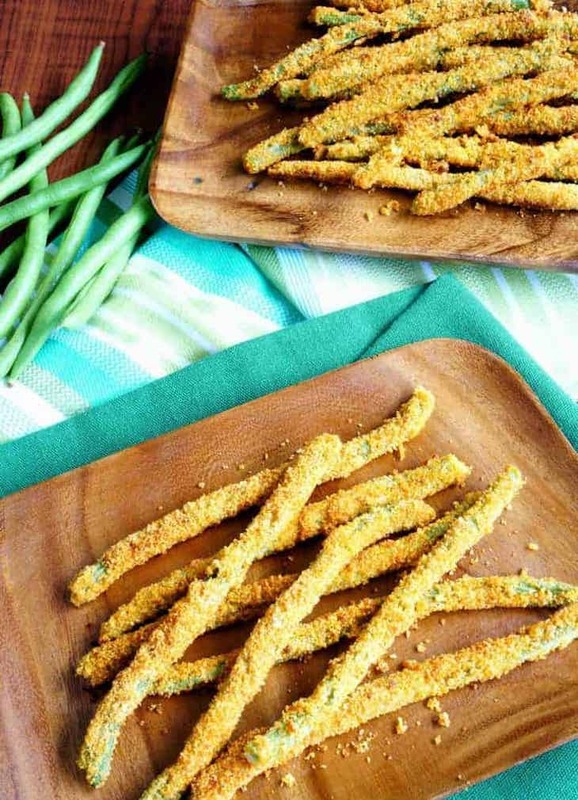 Crispy and perfect for dipping, these oven fried green beans would pair well with the creamy garlic sauce from the Crispy Keto Wing recipe! Another wing option, because you can never have too many wings: the sauce in this recipe is bright and tangy and so, SO delicious. And the wings? Exceptionally crispy. 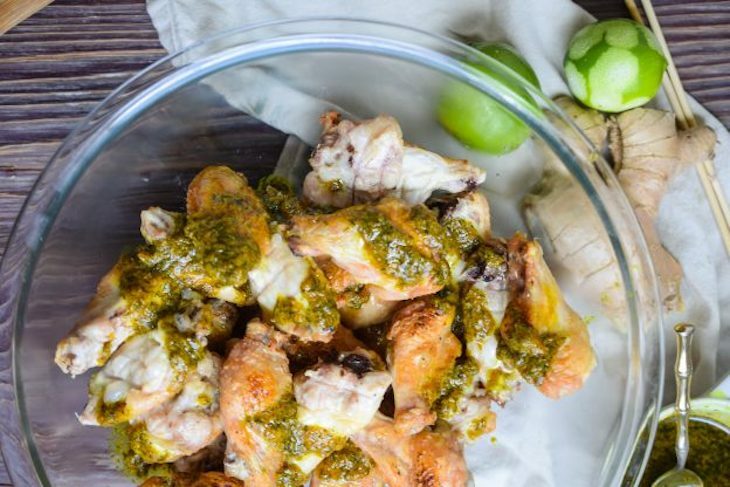 Need a wing recipe that saves on napkins? Look no further. 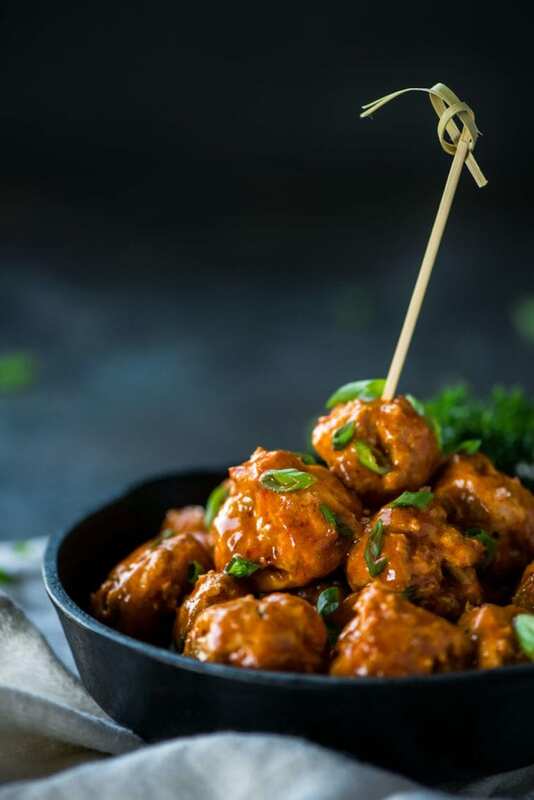 These buffalo chicken meatballs have all the flavors of wings without the finger licking. Use vegan blue cheese and butter flavored coconut oil if you need an option without dairy! 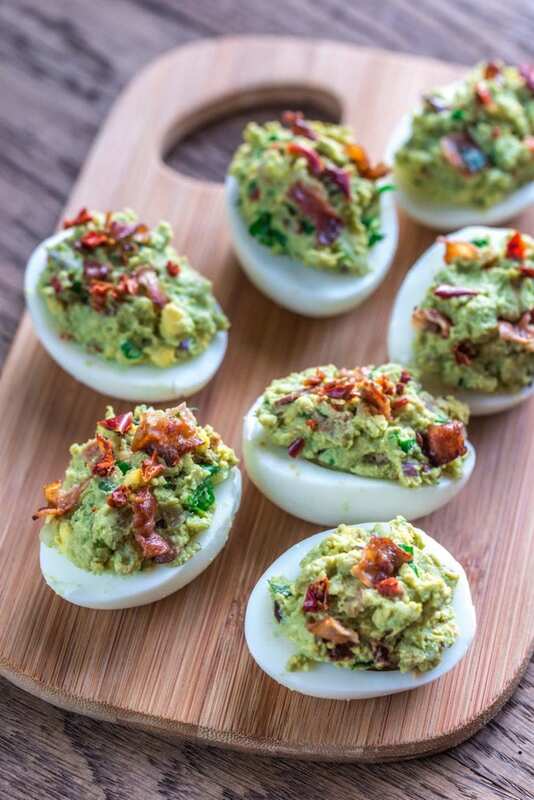 Everyone loves deviled eggs, and these ones are egg-stra special (I couldn’t help myself) because they’re made with guac and bacon. What a great team. 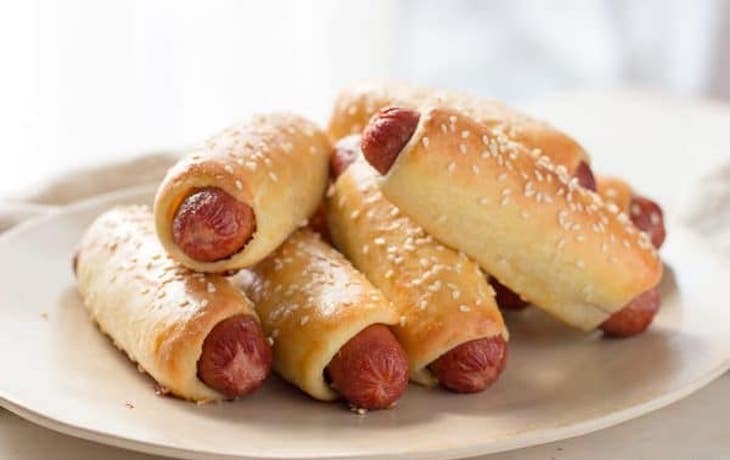 If you can handle dairy, these low carb pretzel dogs are delish. 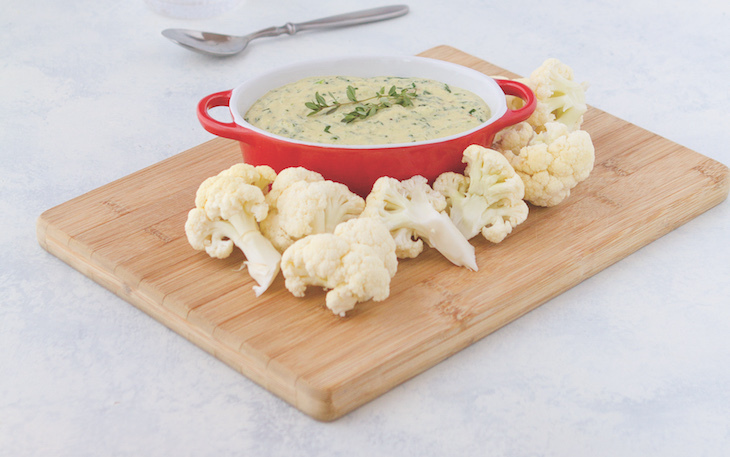 Serve with an assortment of mustards for ultimate dipping awesomeness. 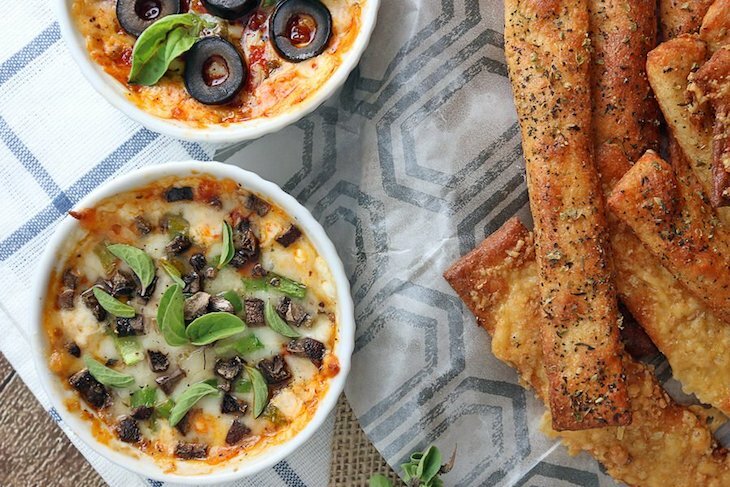 Everyone can get what they want with this personal pan pizza dip, just whip up the base in little ramekins before your guests arrive and set out all the toppings, or take orders ahead of time! Make it dairy free with soy-free paleo cream cheese, vegan mozzarella shreds, vegan sour cream, and vegan parmesan. All the flavors of a classic Philly cheesesteak, without the carbs! For a dairy free version, I’d use vegan provolone cheese slices to keep it extra traditional, OR you could omit the cheese and serve with my vegan cheese sauce! All the flavors of the fast food classic with none of the yuck. Make it dairy-free with vegan mozzarella. Bonus: this reheats beautifully for leftovers as a light night, after party snack. 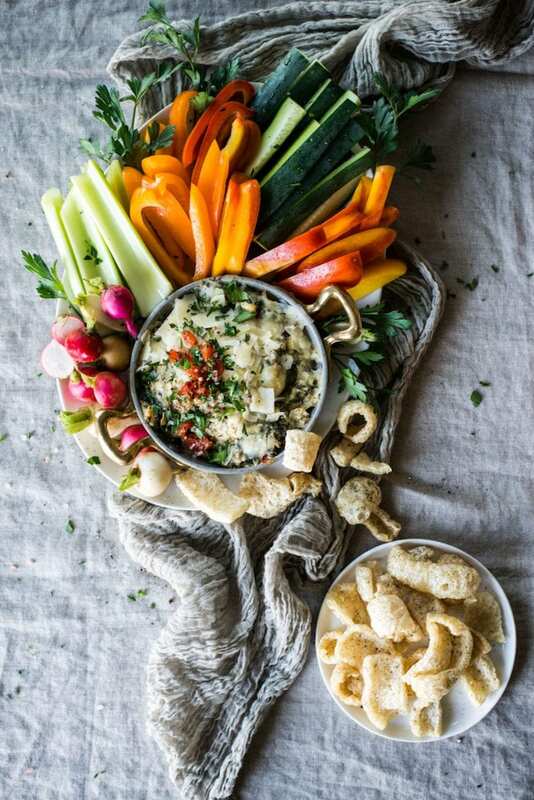 Sometimes, you just need to throw a salad into the mix, but what salad could complete with all the other Super Bowl snacks? This one! 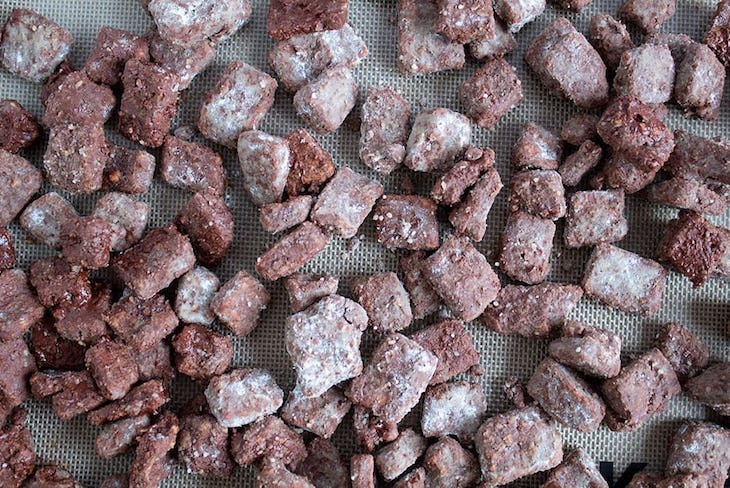 Muddy buddies, or puppy chow, are a perfectly snackable dessert option, and this recipe is no exception: it’s got all the nutty chocolately goodness with a keto-friendly crunch! Got a peanut allergy like me? Swap out peanut butter for my favorite almond butter. Want to pass on the candy bowl and avoid a halftime sugar crash? 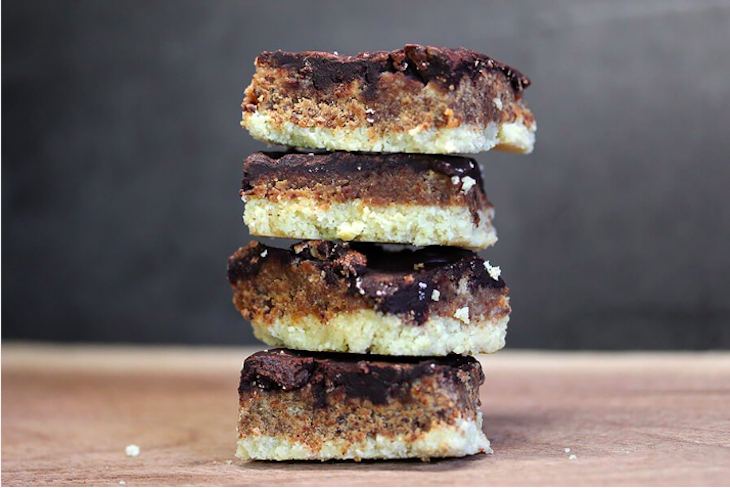 This low carb version of a Snickers is sure to satisfy. Make it dairy-free with butter flavored coconut oil and swap heavy cream with coconut milk. Trade the peanut butter for almond butter and you’ve got a touchdown. The best part about these recipes? You don’t need to wait for the big game — feel free to chow down year-round! 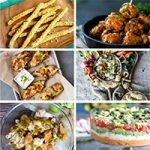 If you loved these keto Super Bowl recipes, share them on Pinterest and spread the love.